Shah Alam - is a town that was specifically designed to replace Kuala Lumpur, as the state capital. KL was handed over to the Federal Government on the 2nd of February 1974. The area, formerly called Sungai Reggam, became Shah Alam, the capital of Selangor. On this day, Hindus pay homage to Lord Muruga and celebrations normally stretch over two to three days with drums and music played throughout the day and sometimes into the night. In Malaysia and Singapore, you will see thousands of devotees at Hindu temples. A prominent feature of the festival is the carrying of kavadis after sunset on the eve of Thaipusam. 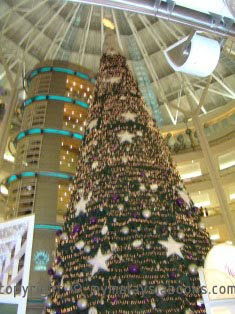 Like many big cities, PJ (Selangor) and Kuala Lumpur are places to shop for fashion goods and Christmas presents. 15Malaysia is a short film project which consists of 15 short films made by 15 Malaysian filmmakers. Mutiara Damansara/ IKANO Power Centre and adjoining complex - houses Asia's largest IKEA store. Others tenants include: IKANO, The Curve, TESCO hypermarket and the Damansara Entertainment Complex. There is an hourly free shuttle bus from Kelana Jaya LRT to IKANO. One Utama, 1 Lebuh Bandar Utama, PJ, is probably the largest and most popular mall. Tenants include TGV and Golden Screen Cinemas, Jusco, Marks & Spencer, MPH Megastore, Parkson, Giant Supermarket, etc. There is a free hourly shuttle bus from Kelana jaya LRT. 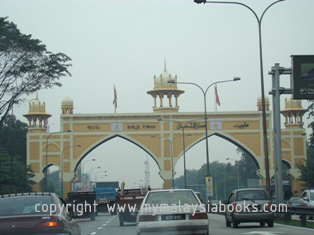 Selangor is located on the west coast of peninsular Malaysia, south of the state of Perak and north of Negeri Sembilan. In the heart of the state of Selangor is the Federal territory - the capital Kuala Lumpur and Putra Jaya. It is the state where the Kuala Lumpur International Airport (KLIA) is actually located (though often mentioned as located in KL). Though Selangor means "Abode of Serenity", a large part of Selangor is a built environment of cities, towns, highways and manufacturing centres - not exactly the quiet serenity perhaps. Selangor is also the richest state in Malaysia in terms of GDP. Petaling Jaya, more commonly referred to as 'PJ', is the largest city in Selangor. In the 1950's due to rapid development and overcrowding in Kuala Lumpur, an extensive area of rubber plantations, outside KL was opened by the then British government for development as a satellite town.